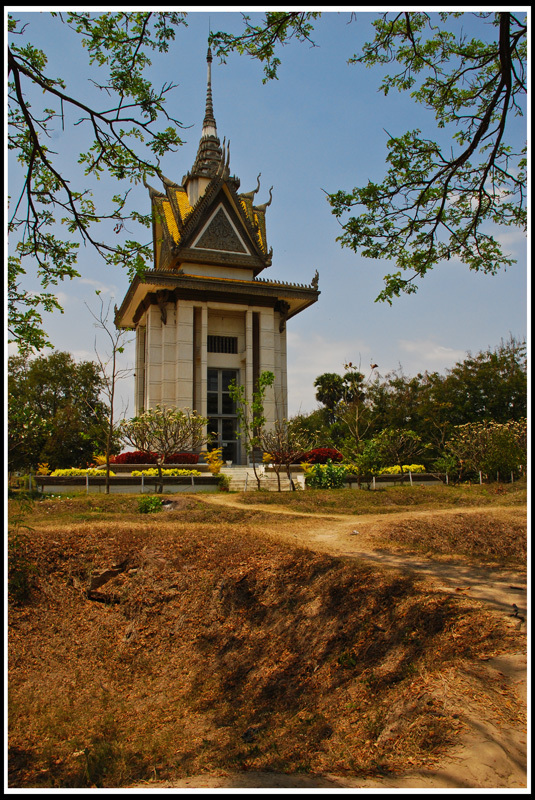 Cheong Ek was one of the sites used as a location for torture and mass murder by the Khmer Rouge in the late 1970s. Overall, more than a million were massacred and buried in mass graves as seen in the foreground here. Today a memorial stands at the site to remind the world of how insane humans can be. The memorial structure, in stark contrast to its external beauty, contains only skulls found at the site.